On February 3, 2011 a group of international students (mainly from CEU) joined the demonstration in front of the Embassy of the Arab Republic of Egypt in Budapest, Hungary (the video is below). They signed the «Declaration on Freedom of Expression in Egypt» addressed to the Embassador of Egypt in Hungary. The idea was not to show any political position, but simply to support the freedom of assembly and speech of protestants in Tahrir Square in Cairo. 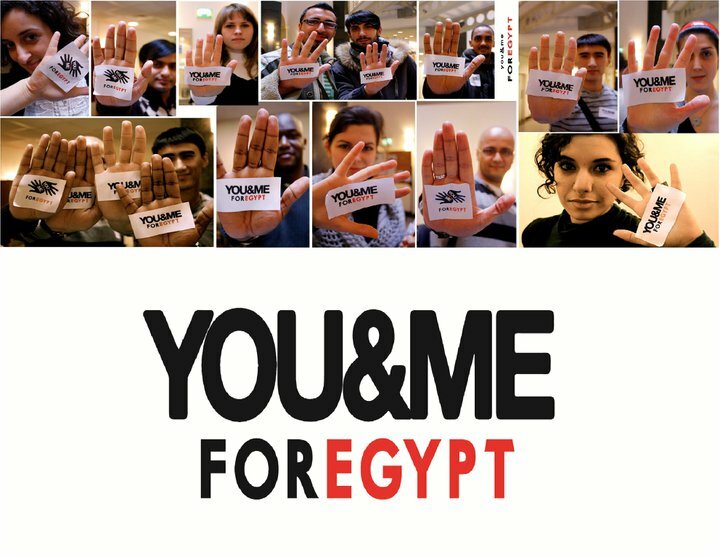 I asked Blagi, one of the organizers of the “You&Me for Egypt” initiative, to tell how the idea to make the event true came to their minds. She said that one of their lovely classmates left for home, Egypt, right after the protests in Cairo started. So, “when the Egyptian people were cut off from the rest of the world when the regime blocked their means of communication and when the violence started to escalate on the streets of Cairo, knowing that our best friends are there we decided that we needed to act”, says Blagi. During our talk, Blagi several times mentioned that there were a lot of people standing behind this initiative and putting their efforts to make their Egyptian friend feel their support and love. So it was not the initiative of the department or the university – not at all. It was an initiative of young people desiring to show their concern about the violation of Egyptians’ fundamental right to assembly and protest. It was also a message for their lovely Egyptian friend, who left for home, strongly realizing her role in the fate of her country and people. She just returned to Budapest, and we all are happy to see her safe and as joyful as she has always been.